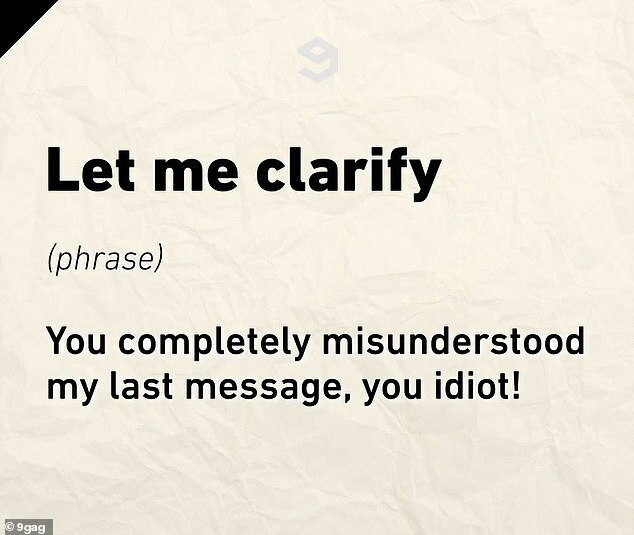 We all know that communicating by email rather than picking up the phone to have a conversation can lead to misinterpretation as the tone is a lot harder to judge. 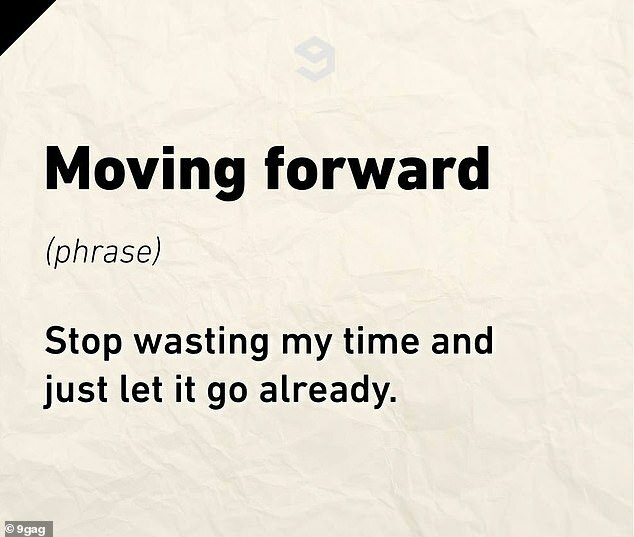 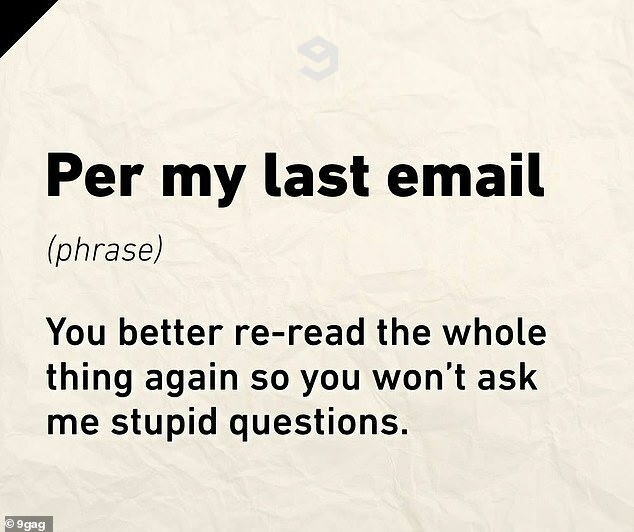 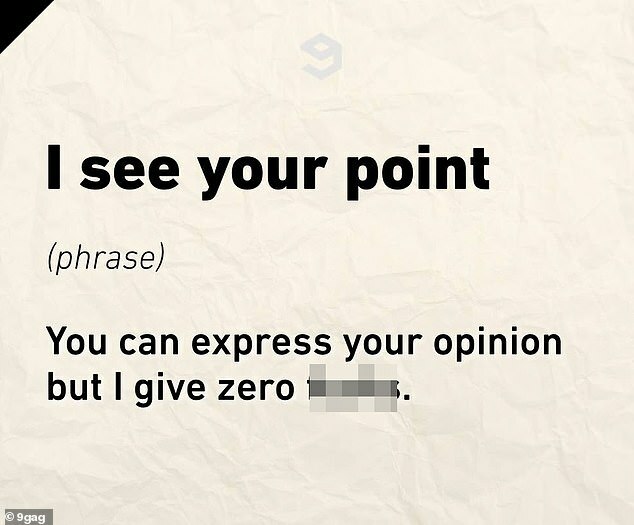 But now 9GAG has solved the problem once and for all with a hilarious guide to the true meaning of some of the most commonly used email phrases. 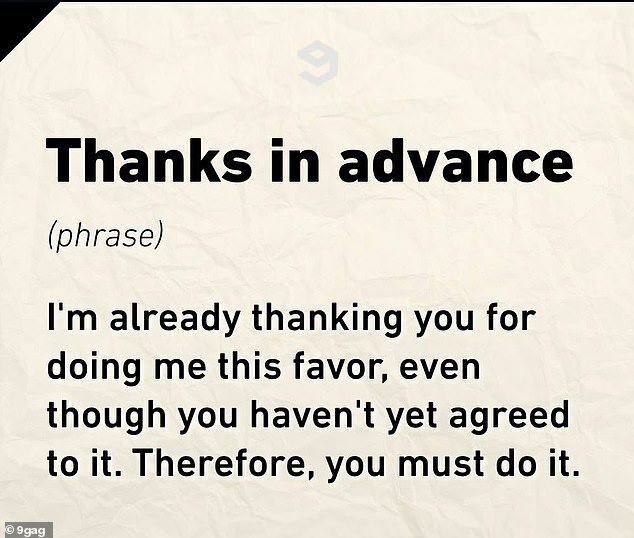 And if you're used to receiving a 'sorry for being unclear' or 'hope this helps' from your business contacts, then you'd better watch out as the translation isn't necessarily a friendly one. 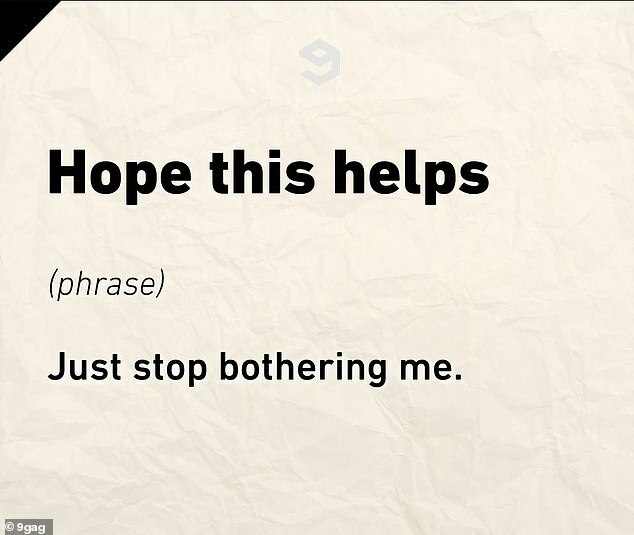 While 'hope this helps' is merely a way to give people the hint to stop bothering you. 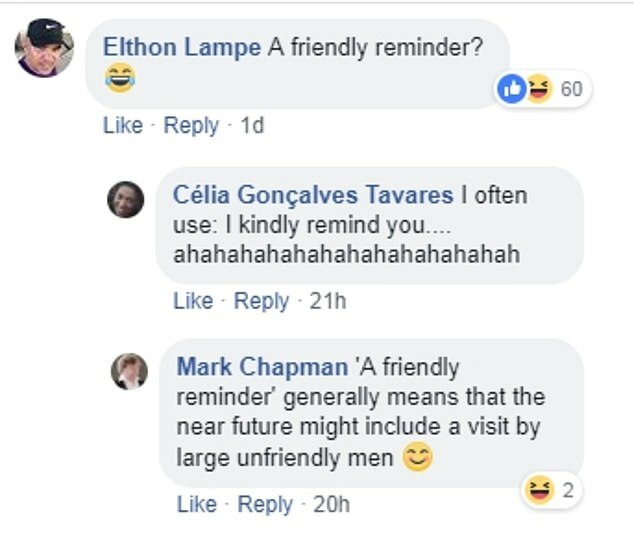 The thread posted to Facebook has received 16,000 likes and 2,300 comments with people sharing their own passive aggressive favourites. 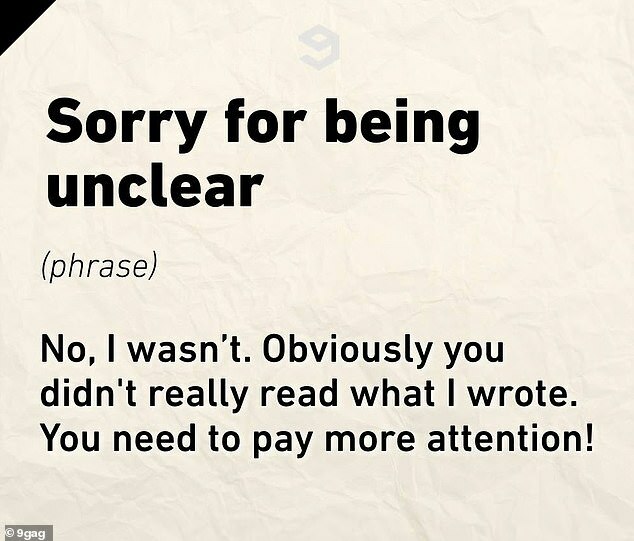 One said they use 'my apologies for any miscommunication' when they are anything but sorry. 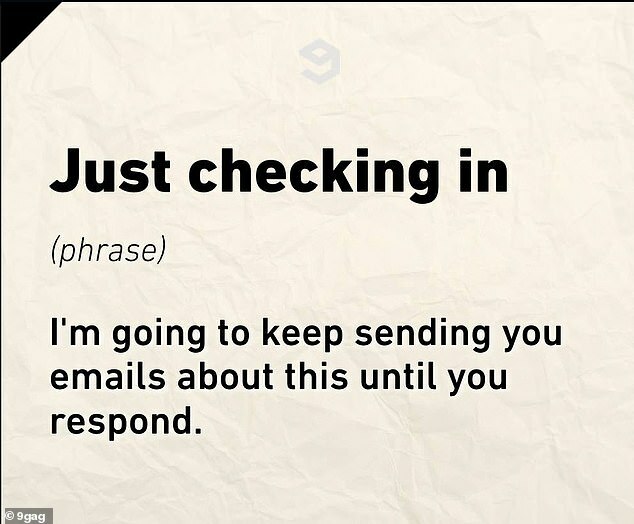 Another said they like to add that an email is 'a friendly reminder' when they are about to explode with rage at not receiving a reply. 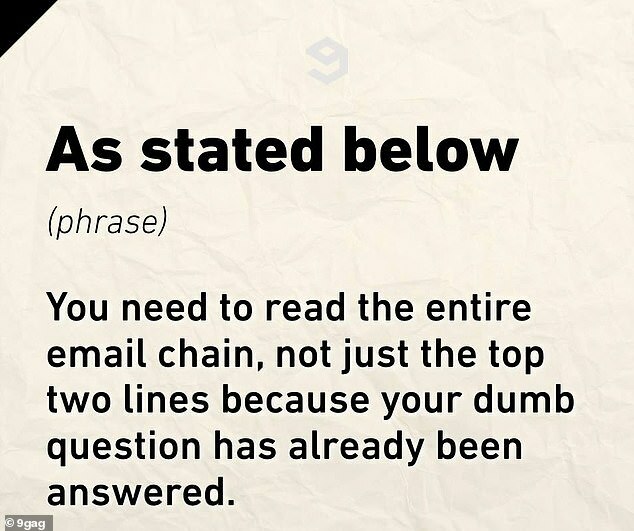 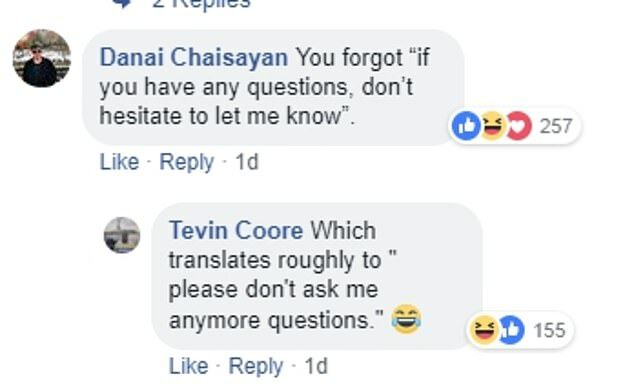 And one said they tell people 'if you have any questions, don't hesitate to let me know', when in fact they are hoping to never hear from them again. 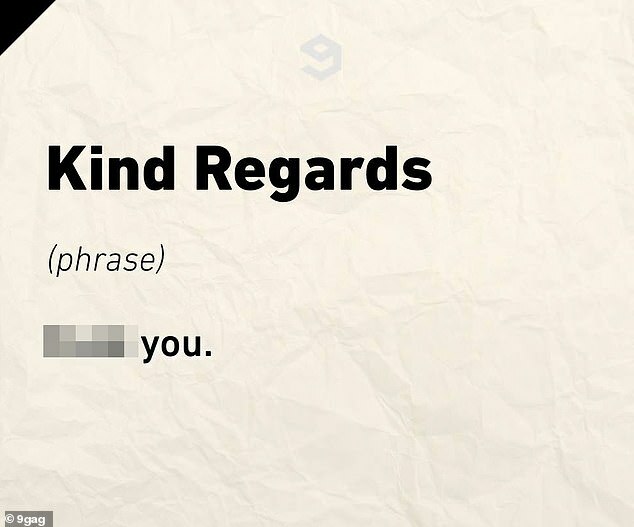 However, many disagreed with the idea that kind regards equates to saying 'f*** off', saying it's the way they always choose to end their professional emails.